Throughout our lives we execute strategies and plans that strive toward providing financial success. One day we realize that we are aging and wonder if our loved ones will be cared for. There is a shift from focusing on self to that of one's family. Estate planning focuses on developing and implementing strategies that care for loved ones after one's death. 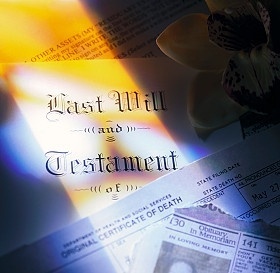 It is about ensuring that your wishes and provisions continue long after your life ends. We assess your current estate and guide you concerning the traditional documents that are most often used as final instruments. Charitable giving is reviewed, an evaluation made to determine what type of taxation issues are present, and wealth preserving strategies are discussed. Another segment of estate planning is called elder care planning. Elder care addresses the risks of long term care. Long term care is the type of assistance people need to perform normal daily activities such as eating, bathing, dressing, and other daily care needs. Long term care needs typically arise as part of the normal aging process, but can also be due to an injury or illness such as multiple sclerosis, stroke, rheumatoid arthritis, or due to a cognitive impairment, such as Alzheimer's disease. We assess your risk of long term care and provide an analysis on how to protect your estate from the erosive effects of a long term care illness. Asset Management Strategies, Inc. subscribes to a team approach to estate planning. We collaborate directly with our clients’ attorneys, accountants and any other professional advisors you have to ensure a seamless and effortless execution of your entire wealth plan. Our focus is wealth management for today, legacy planning for tomorrow.